When NASA sends humans to Mars, the astronauts are going to need lots of food for the trip. But freeze-dried prepackaged meals for a 2.5-year mission to the Red Planet can take up a lot of weight and room on an interplanetary vehicle. When we go to Mars, weight will be precious. The less we carry with us, the better. Plus, not all of that food is going to be super tasty — or fresh. That’s why NASA is interested in figuring out ways to supplement astronauts’ diets with plants that can be grown in space or on other worlds. Seeds are much less weighty and spacious than already-prepared food. 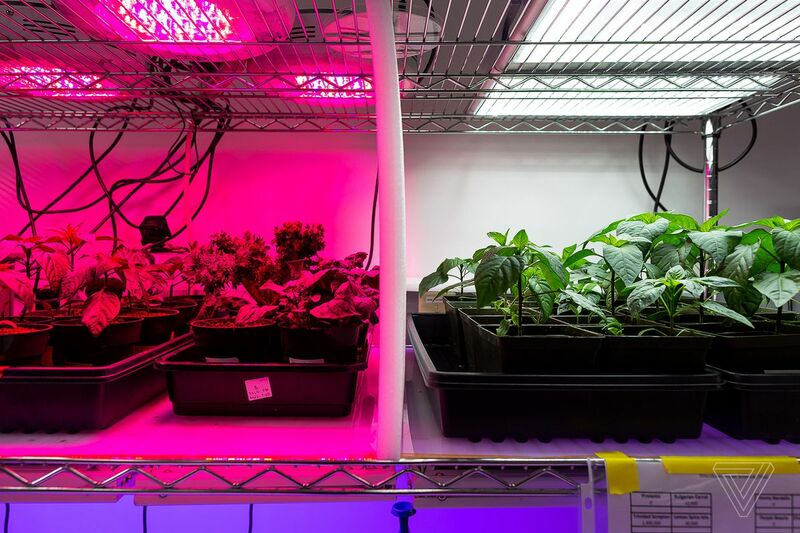 So scientists at NASA’s Kennedy Space Center have been experimenting with how to grow plants and vegetables in simulated space environments. Those include the microgravity environment of the International Space Station and worlds with less gravity than Earth, like the Moon and Mars. At Kennedy, scientists experiment with different lighting and temperatures to see which environment is best for growing plants. They also simulate the conditions on the ISS to see which plants could thrive in low Earth orbit. Ultimately, NASA is trying to figure out how to grow plants with as little soil as possible, through methods like hydroponics and aeroponics. Hydroponics involves delivering water and nutrients to plant roots using liquid solutions, and with aeroponics, plants are grown in a misty air environment. Both of these methods negate the need for too much dirt, which is also heavy and takes up precious room on a rocket. Water does behave differently in low-gravity environments. It clumps together in weird ways that it wouldn’t on Earth, making it tricky to water root plants. However, NASA has had success with growing vegetables on the International Space Station with the space agency’s Veggie experiment. Through that research, astronauts have been able to grow — and eat — plants on the ISS. The first experiment entailed growing red romaine lettuce in pillows of clay instead of soil. 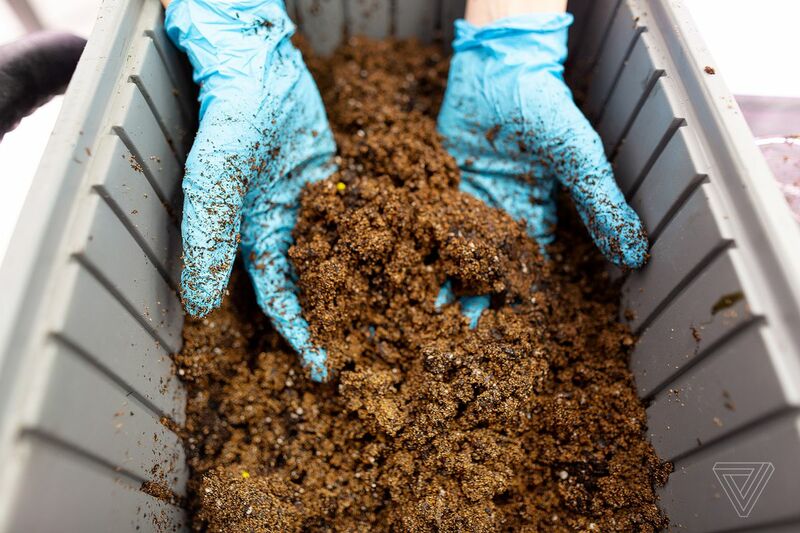 Scientists are interested in potentially using interplanetary soil someday to grow plants. However, the “soil” found on the Moon and Mars isn’t really soil; it’s regolith, or loose, rocky material made from volcanic ash that doesn’t have an abundance of organic materials. And the regolith on Mars isn’t exactly clean. Rovers on Mars have detected a type of salt known as perchlorates in the dirt, which can be toxic for humans if consumed in high enough quantities. It’s possible that astronauts could clean the regolith with chemical solutions or certain kinds of bacteria, but that method hasn’t been fully fleshed-out yet. For the season finale of Space Craft, we visited Kennedy to taste some of the plants they’ve been experimenting with. Check out our meals in the video above.